Who said body butters has to be expensive to fare better. 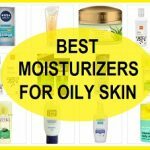 We know a lot of body butter out there are quite expensive and people who cannot splurge that much on their body creams and butters will calmly get help from the body lotions. But there are affordable body butters too in the market that you can try. Yes, that is true. Body butters are far more hydrating and their thick texture also makes them stay on the skin longer. 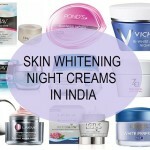 This also means that they give long lasting protection and intense moisturization for the dry winters. 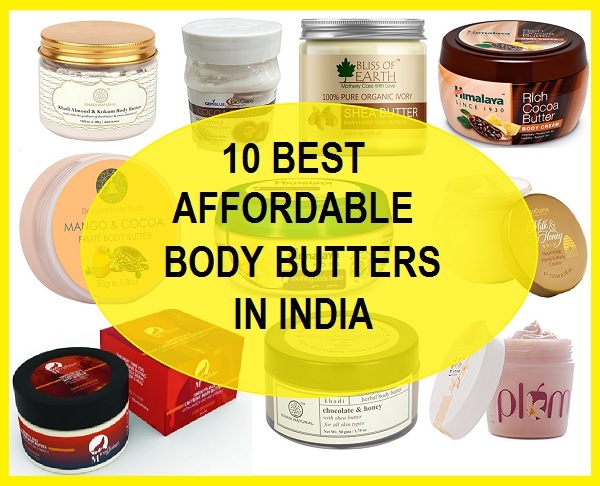 Here is the list of the best affordable body butters which are in budget and can be used by men as well as women. 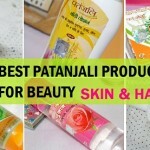 Himalaya is one in the top of the list not only because of its availability and effectiveness. This butter contains Cocoa Butter which induces body moisture and restores it within the skin layer. 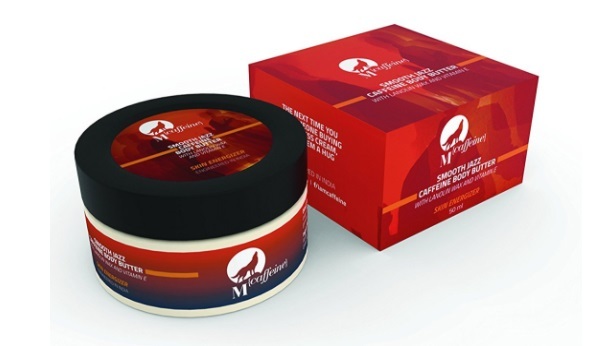 This body butter consists natural ingredients which help in maintaining skin health. It also provides long lasting hydration to the skin and makes it soft and supple. Plum is an amazing brand whose products are not only worth buying, but actually gives impressive results. This body butter is special due to its ingredients like vanilla, which smoothens the skin and gives instant moisture. This body butter is very light in texture so can be used by all skin types. 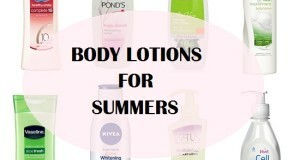 In summers, it can be replaced by body lotions. 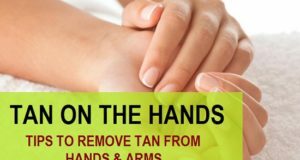 For deep nourishment, massage it onto the skin for a few seconds and leave it to absorb into the skin. 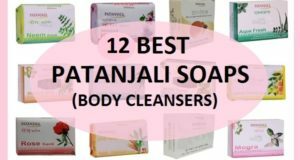 Khadi body butters are one of the best choices available in the market. 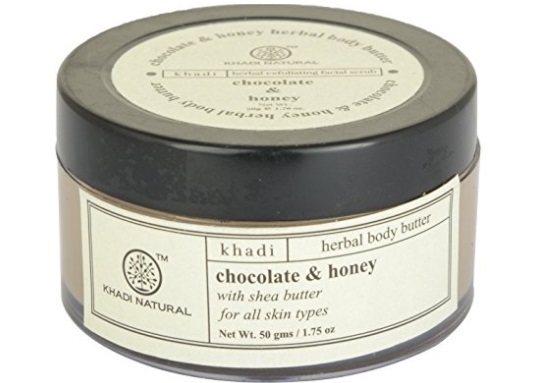 This chocolate body butter is good for all skin types and makes skin radiant and smooth instantly. It helps in restoring moisture in the skin and keeps it hydrated all day long. Chocolate contains anti-oxidants and milk that induce natural fairness and protects it against free radicals. Shea Butter deeply penetrates the skin and results in glossy face and body all the day. 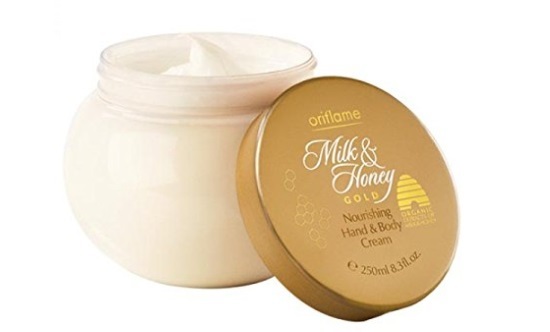 Oriflame milk and honey nourishing body cream is a rich body butter, which is made with 100% organic materials. It contains milk which is a good source of lactic acid that prevents stretch marks and gives an adequate amount of moisture to the skin. It also helps skin glow and bring out its real shine. Honey restores moisture in the skin layer and also induce smoothness in the skin. Your skin will visibly look supple and shining all the day. It glides really well on the skin and conditions it too. 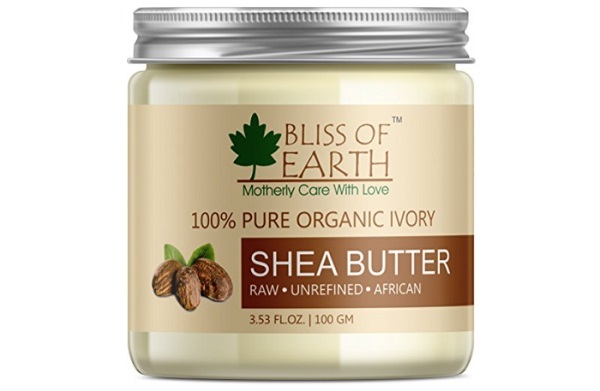 This is a 100% real and organic shea butter, which is free from all the impurities. It has multiple vitamins like A, D and E. Vitamin-E helps in improving the skin color and brings softness on the skin. It also contains essential fatty acids that reduce the chance of dryness and heals break outs. 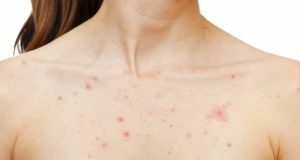 People prone to dry and flaky skin must give it a try because it can solve all your skin troubles. It deeply moisturizes the skin and makes it glowing. It restores lost moisture and hydrates the skin from the inside. This coco butter cream is rich in cocoa, which is full with anti-oxidants and is rich in caffeine which exfoliates the skin and removes pigmentation. This batter also consists aloe Vera which induces skin fairness and moisture. Aloe vera is a good source of essential fatty acids that not only treats patchy skin, but also hydrates it from within. 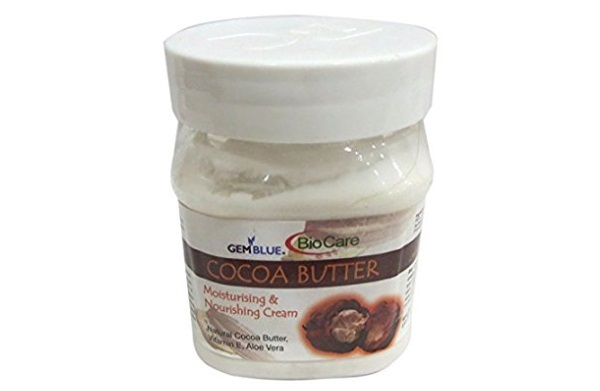 Biocare coco butter is a good option for those who are looking for an effective and affordable body butter. This body cream can also be used in dry areas on the body like elbows and feet. Khadi naturals have a variety of products and this butter is one of them. 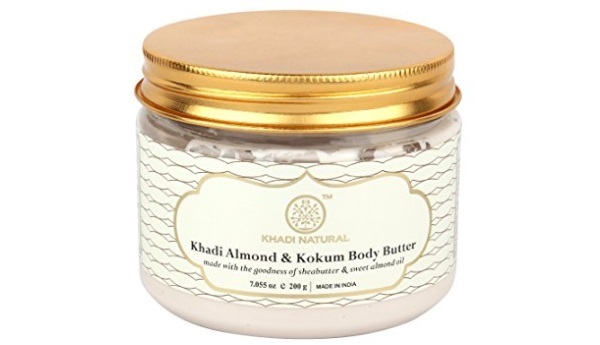 Khadi body butter contains shea butter, coconut oil, sweet almond oil and kokum butter. Shea butter helps in moisturizing the skin and make it soft. Coconut oil nourishes the skin and heal insect bites, dryness and flakiness. Kokum butter is effective in treating all the skin troubles caused due to lack of moisture. Sweet almond oil is very light on the skin and reduce the appearance of wrinkles. This is an amazing body butter, which comes in round small tub like packaging and is enriched with cocoa butter and lanolin wax. This body butter is paraben free and contains vitamin-E too. It improves the skin color and also provides moisture to the skin. This body butter contains caffeine, which is helpful in reducing the acne and its scars. It also smoothens the skin and makes it appear healthy. The body butter is also good to remove wrinkles around the eyes and on the face. Vitamin-C also improves skin complexion and maintains skin elasticity. You may not have heard about this brand, but this body butter should be one of your foremost choices to pick from. It has jojoba oil, and mango pulp, which are extremely beneficial for the skin. Jojoba oil penetrates the skin layer and conditions it. It has the essential ingredients like shea butter and cocoa. It also contains wheat germ oil which improves skin texture. This is a completely pure and chemical free body butter. 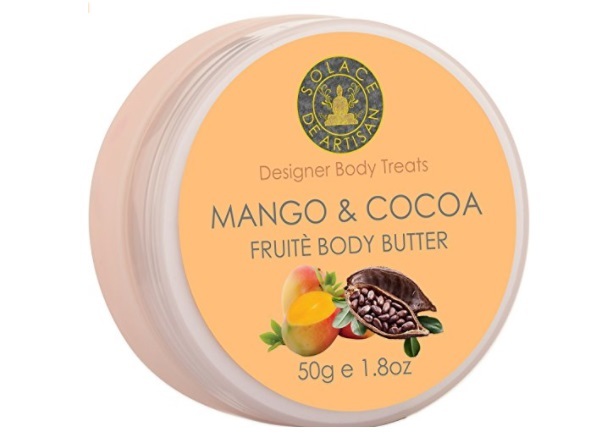 The fruit body butter prevents breakouts and dryness. A small amount would be enough to cover a part of your body. 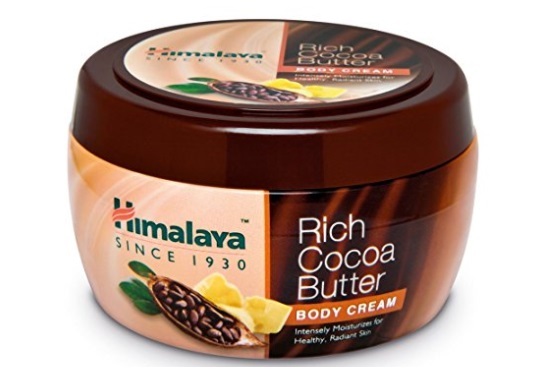 Himalaya mom soothing body butter is enriched with cocoa butter and vitamin-E both together work as a protective shell for dry and dull looking skin. It makes skin soft from deep inside and feels smooth to touch. Himalaya body butter ensures naturally healthy looking skin. The body butter also has a power of jasmine oil, which again improves skin condition and makes it young and bright. 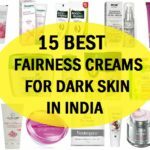 These are the best affordable body butter which are available in Indian market. Have you used any of these body butters? Which is your favorite?